This is “A Brief History of Macroeconomic Thought and Policy”, chapter 17 from the book Macroeconomics Principles (v. 2.0). For details on it (including licensing), click here. John Maynard Keynes, Milton Friedman, and Robert E. Lucas, Jr., each helped to establish a major school of macroeconomic thought. 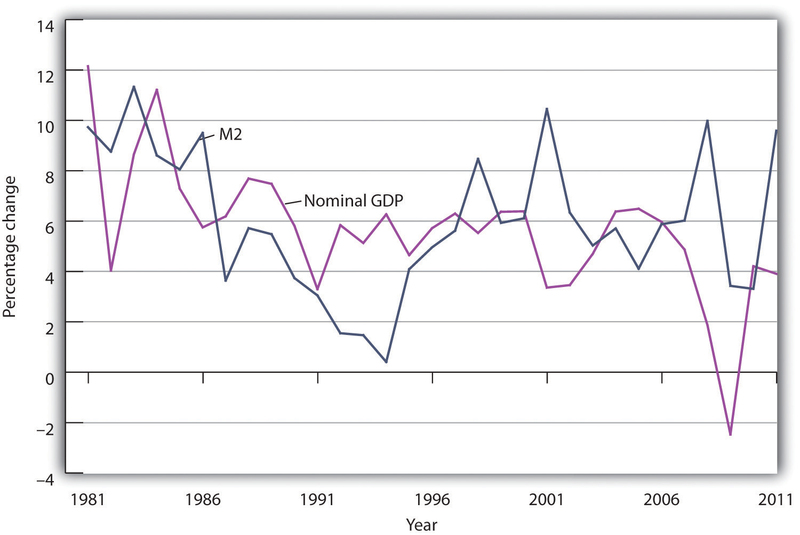 Although their ideas clashed sharply, and although there remains considerable disagreement among economists about a variety of issues, a broad consensus among economists concerning macroeconomic policy seemed to emerge in the 1980s, 1990s, and early 2000s. The Great Recession and the financial crisis in the late 2000s, though, set off another round of controversy. In this chapter we will examine the macroeconomic developments of six decades: the 1930s, 1960s, 1970s, 1980s, 1990s, and 2000s. We will use the aggregate demand–aggregate supply model to explain macroeconomic changes during these periods, and we will see how the three major economic schools were affected by these events. We will also see how these schools of thought affected macroeconomic policy. Finally, we will see how the evolution of macroeconomic thought and policy influenced how economists design policy prescriptions for dealing with the recession that began in late 2007, which turned out to be the largest since the Great Depression.